The RSI General Purpose Greenhouse & Small building electric powered exhaust fan system is designed to fit all structures. The purchaser must retrofit the exhaust system to their own structure. If mounting from the outside a hole in the wall would need to be cut to allow for the fan and interior cage to fit through the wall. The rough dimension is 17 inch x 17 inch. Use fasteners (not included) to fasten the fan to the wall by drilling through the framework and caulking the framework to make it water tight. The fan structure is now 100% enclosed in the building and the louvers are on the outside of the structure. If mounting from the inside, a hole in the wall would need to be cut so that the louvers will be able to open and close freely. This dimension is 16.25 inch x 16 .25 inch. Slide it in the opening from the inside out. The exterior lip around the louvers acts to finish off the appearance from the outside. Seal with caulking and fasten the fan to the wall (fasteners not included). The RSI greenhouse and building heating system is designed to deliver a direct heat and allow for the temperature to be maintained over long periods of time. The ceiling mounted design allows the heater to be used to maximize airflow. The design of the bracket also will allow the heater to be directed in any direction needed or wanted. In addition to this functionality, the heater can also pivot 360 degrees allowing for easy re-direction of heat. Adjustable louvers also help to determine the intensity of the heat flow. 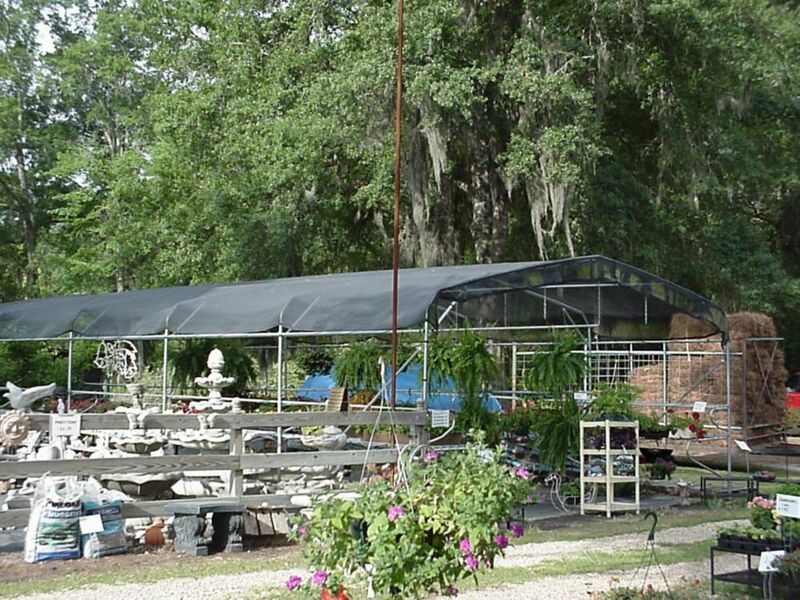 The design is ideal for greenhouses, sheds, garages, or workshops. The copper brazed uses a lower watt density and this with the steel sheathe tubular heating element save money by using less energy to produce heat. There is also an Automatic fan control and any Thermal cutout automatically shuts off the heater in the event of overheating and reactivates when temperatures return to normal. Comes with mounting bracket and necessary hardware for installation. Riverstone 6 ft. x 12 ft. 63% Shade Cloth System with Corner Grommets The Riverstone line of Shade cloths is designed to offer easy to use, shade producing cloth that is UV stable and will last for several years in the hottest environments. All our woven shade cloths are proudly made from black woven polypropylene strands in the USA. Each shade cloth comes with brass grommets for securing the shade cloth. The grommets are placed approximately 2 feet apart around the perimeter of the each shade cloth. The percentage listed above indicates the amount of shade that is being provided. This also reflects how tightly woven the shade cloths are.